Mike has decided it’s another fizz-tastic week on #newwinethisweek…. It may or may not have something to do with the fact he’s off to Barcelona at the weekend, but whatever the reason, this week we’re going Cava crazy! 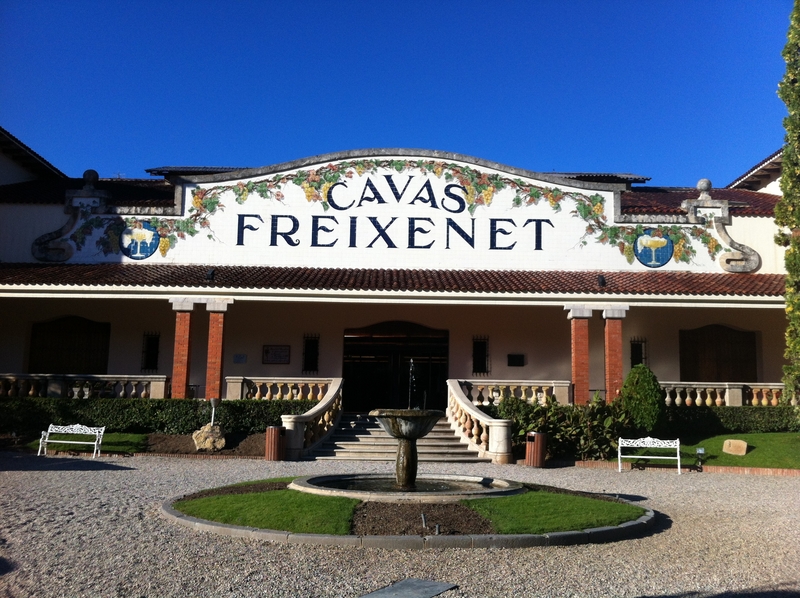 I used to think Cava was a cheap imitation of Champagne until I visited Freixenet in Sant Sadurni, a 30 minute train ride from Barcelona. Before the visit I was dismissive of the Spanish fizz, but I came away from the experience with huge respect and a new-found love. Cava can only be labelled so if it produced in the méthode traditionnelle (Método Tradicional in Spanish), the same process used for making Champagne, where yeast and sugar is added to a base wine, then undergoes a second fermentation in the bottle. Xarel.lo, Macabeu and Parellada are the principle grapes used to make Cava, although Subirat, Chardaonnay and Pinot Noir are also allowed, along with Cabernet Sauvignon, Garnacha and Monastrell, which can be added to the base wine in the production of rose. 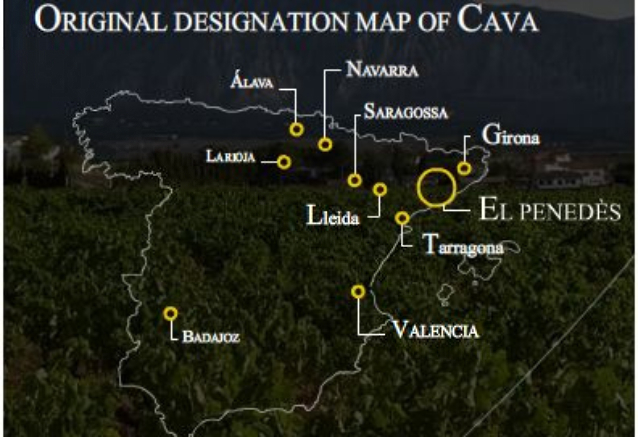 Although Cava is a recognised Denominación de Origen (DO), the DO is actually of collection of wine regions. 95% of the production comes from Penedes in Catalonia, the remainder coming from Aragon, the Basque Country, Castile and León, Catalonia, Extremadura, Navarra, Rioja and Valencia. 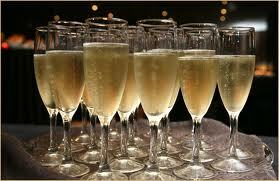 As well as being a fabulous tipple, Cava is often great value for money. There is some rubbish on the supermarket shelves no doubt, but spend a tenner and you will really start to appreciate what Cava has to offer. I hope that this week changes a few preconceptions and that many of you find a new respect for this fabulous wine. Tesco Cava Brut Sparkling NV (Tesco £5.00) I’ve read some very positive reviews! All that’s left for you to do is to buy a bottle, get it well chilled and enjoy the bubbles. The voting will take place on Mike’s blog this week so get stuck in and tell us what you think of Cava… how will it match up to Cremant and English Fizz on the #newwinethisweek leaderboard? Posted on June 24, 2014, in Uncategorized. Bookmark the permalink. 6 Comments.